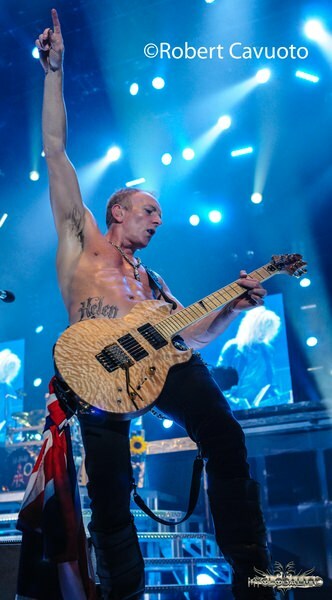 Phil Collen of Def Leppard – Our Stock Continues to Rise as our Peers Fade Away! Comments Off on Phil Collen of Def Leppard – Our Stock Continues to Rise as our Peers Fade Away! 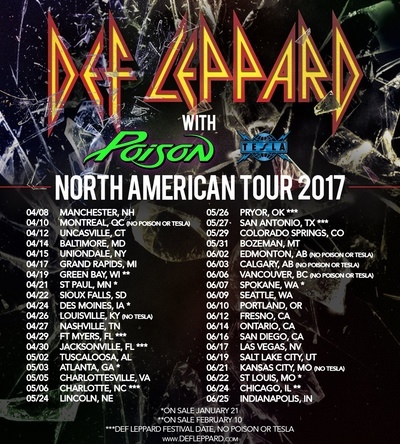 Last week Def Leppard announced to their legions of fans a massive 2017 North American tour with Poison and Tesla. 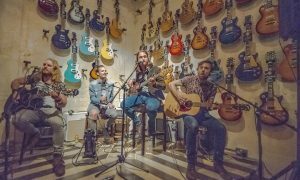 The band will hit nearly forty cities from early April through late June, visiting markets missed during their massive 70-city tour in 2016. To celebrate the 2017 tour, the band will be releasing a live concert DVD; And There Will Be A Next Time – Live From Detroit on February 10th which was filmed at the DTE Energy Music Theatre in Clarkston, MI in 2016. It will be available on DVD+2CD, Blu-ray+2CD, Digital Video DVD, and Blu-ray. 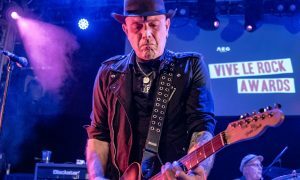 I had the pleasure of speaking with guitarist Phil Collen to talk about the band’s latest 2017 trek, how he overcomes road fatigue and the secret that has made Def Leppard a global phenomenon for over 35 years. 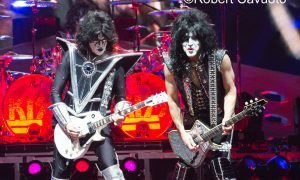 Robert Cavuoto: So many rock bands have faded into history or retired, you’re still one of the most beloved rock bands who still tour steadily. What’s your secret? 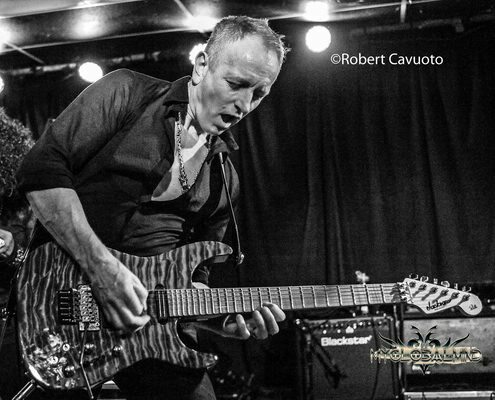 Phil Collen: We really love what we do and believe in what we do. I think that is the main thing. We believe in the band a whole and it’s more important than anything else. You have to maintain that and it takes a lot of hard work. With other bands; after a few years, it becomes a chore. Many musicians are flakey and elitist and it doesn’t help. We see it as a blessing and proud of what we do – to just keep pushing the boat out. Robert Cavuoto: I’ve seen Def Leppard live countless times since the 80s and never once saw the band mail it in. It always looked like you loved it and worked up a sweat doing it! Phil Collen: Thank you. I feel a sense of accomplishment from that. We all work so hard. The reward is that people are still there listening and digging us. If you want to take the lazy route, expect all the things that come with that [laughing]. Robert Cavuoto: Def Leppard is truly a global phenomenon, your music transcends to so many people and cultures around the global like Ambassadors of Rock. What do you think makes you a global success? Phil Collen: Mutt Lange really helped us do that. We always wanted the sound to be international and achieve global success. I can’t put really put my finger on it exactly but bands from the 80s like U2, INXS, and Def Leppard always sounded international. You couldn’t tell that we were from England because we all sing with American accents. Rock, pop, and the blues are an American art form. I only figured this out a few years ago as to why I sing like an American but speak like a Brit? [laughing] I realized that I learned from Aretha Franklin and Stevie Wonder or second hand from Mick Jagger and John Lennon as they both had American inflections. 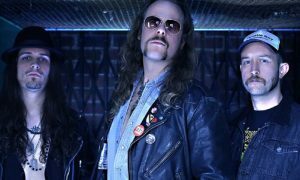 Robert Cavuoto: I follow the band on Facebook and Twitter and see there is a lot of idol worship from your legion of fans. What do you make of that and when do you consider it to be too much? Phil Collen: It reveals itself when it gets into your personal space and people start taking liberties. That’s when it becomes weird and “stalkery.” I’ve seen it happen to females with people showing up to their door or climbing over walls. It’s really full on creepy. It’s little different because we are grown men, but we have been doing this for years so we are over it. When you see it coming you just cope with it. I don’t let it freak me out. We have all been fans of someone out there. I was just in Japan and got to play with Jeff Beck and Jimmy Page. Jimmy was giving me insight on how to play a part on guitar. It was so phenomenal, I was such a Fanboy! I was trying to keep it in check and playing it really cool on the outside but on the inside was like WOW! [laughing] There a bit of respect and experience that supersedes a lot of things like that. If that can happen to me than I can accept someone might be a Fanboy around me. Sometimes it ok and other times it clearly isn’t like when its gets to the stalking point. 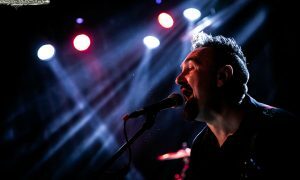 Robert Cavuoto: How do you keep yourself satisfied with touring after all these years between the travel and being away from your family? Phil Collen: I think everyone would have a different answer for that. For me personally, my family comes out on tour with me. My daughter is 12 and she has been out with me since she was born. I have three other daughters and a son and it’s the same deal as they come out to see me. I think it is easy if you try and keep healthy. If you get sick, it falls to pieces. I try to not stay up too late, I haven’t drunk alcohol for 30 years, I don’t smoke, and I’m a vegan. Those are just some of the things that make it easier. I feel better at 59 than I did at 29. Then you get rewarded with your audience as your stock starts rising because your peers are fading away or calling it a day. We’ve seen so many tragic things like AC/DC; with Malcolm Young or Phil Rudd or Brian Johnson with his hearing issues. All of sudden it can be the end of a band. If we can still keep going then it’s great. You can see it in the audience that it works in our favor but you have to continue to put the hard work into it which I love doing. Robert Cavuoto: You will be releasing a new DVD on February 10th, can you share the significance of the title And There Will Be a Next Time – is it to indicate there are no plans to retire? Phil Collen: Absolutely! Joe says that phrase at the end of every show “I’ll see you next time and there will be a next time.” The last tour was phenomenal and so many people told us that this was best we have ever been and sounded. Early on we decided to record a show just outside of Detroit. 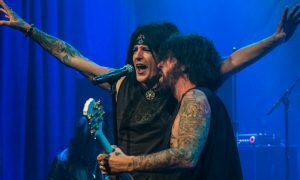 It was the first show to sell out and the fans are ravenous, so it was a no-brainer. Robert Cavuoto: I haven’t seen the full DVD; do you think that the filmmakers captured the energy of your live show? 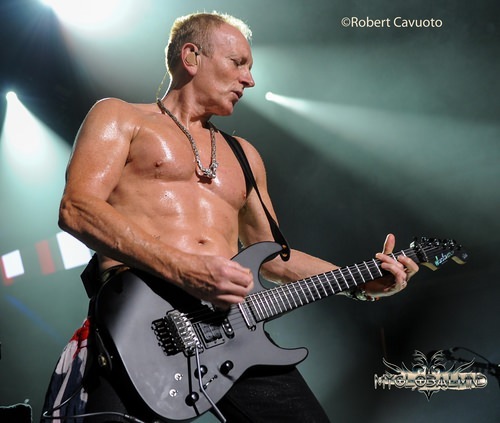 Phil Collen: I think they captured the energy more than I could have ever expected. Whenever I see live footage of myself I think to myself “I blew that” or “double chin” or “I’m making a funny face.” The first draft of the video was so flattering and professional; I was so happy. I don’t think I had any editing suggestions. That one hour was brilliant it was like someone did all the editing for us. Robert Cavuoto: How many guitars do you take on the road and do you have names for them? 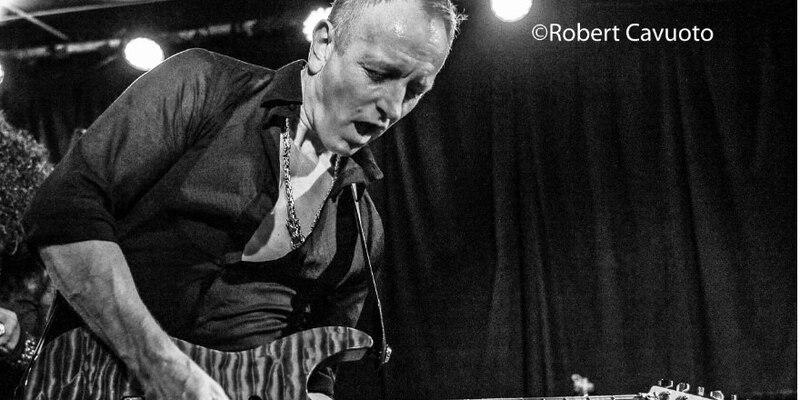 Phil Collen: I usually take out ten guitars which include an acoustic and a Telecaster. The majority of them are my Jackson PC1s and I absolutely have names for them. We keep updating that model as its been out for 20 years. I have a couple new ones now where they bake the wood to get the moisture out to sound like a vintage guitar. I have been using the same pickups for 40 years the DiMarizo Super 3s and Super Distortion. 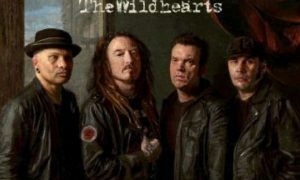 They are my point of reference as the guitar sound keeps getting better and better. Having said that I’m producing the new Tesla CD at the moment in Sacramento, CA and they are using one of my old PC1s. Frank Hannon was using it just yesterday. I got that in the 90s and it’s a killer guitar. I call it “Red Rum” from the movie “The Shining” for no reason other than its red. They all have obvious names and it a good reference with my guitar tech. Robert Cavuoto: When we last spoke in 2016 you talked about a live Delta Deep CD that was due out this past summer. What is its status? 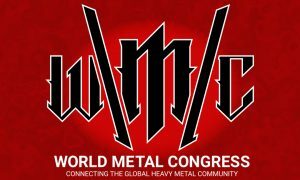 Phil Collen: It was held up with the record label. We got a deal, CD is in the can, and it sounds killer. We are also working on a new studio CD which is a step up from the last one as its heavy blues with soul and gospel. 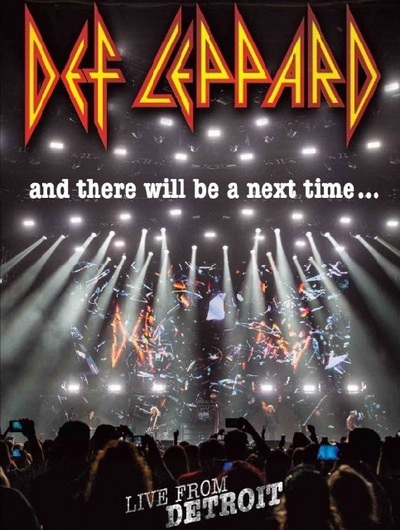 Tagged Def Leppard, Live DVD, phil collen, Phil Collen of Def Leppard - Our Stock Continues to Rise as our Peers Fade Away! 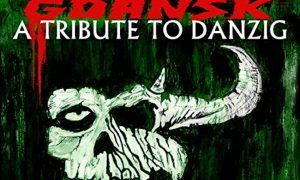 on May 12th, both will be reissued as “special deluxe collector’s editions” via Rock Candy Records – complete with multi-page booklets, essays, and fully remastered audio, shaped from 24 BIT digital technology. 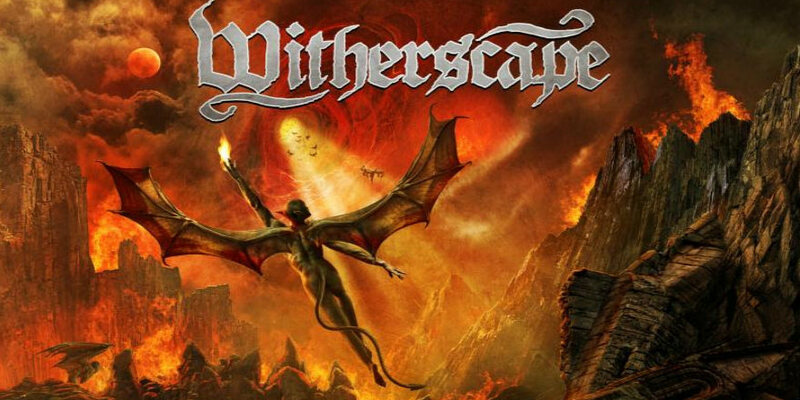 Witherscape’s new full length album “The Northern Sanctuary” being released on Century Media Records in July is a brilliant follow up to 2013’s “The Inheritance”. 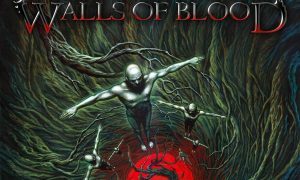 The perfect infusion of progressive rock and extreme metal.